Being an engineer, I love the challenge of problem solving. I’m definitely a nerd, but I also have fits of creativity and style. Planning out the 808Van brings out the best of both sides of my brain: combining my analytical approach to optimizing space, with a passion for design. To say I obsessed over the planning of the 808Van might be slightly understating it. I think a really fun part of #vanlife is the process of building a rig and making it your own creation. 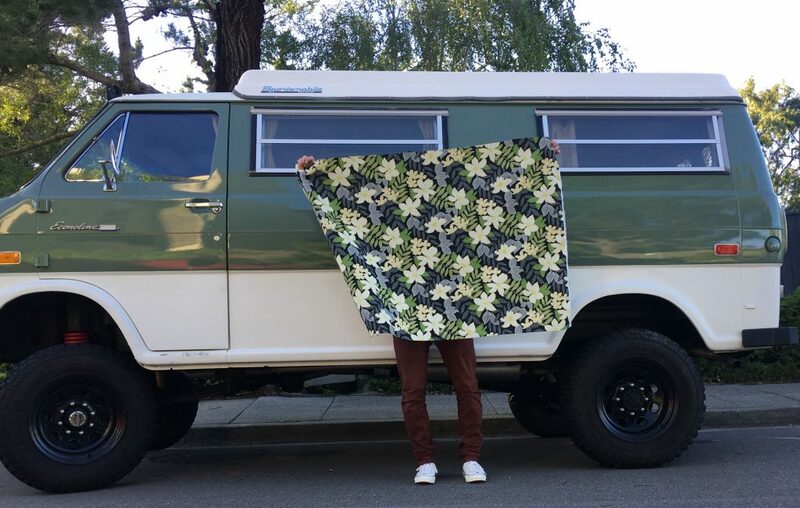 I wanted this van to be a reflection of me – or at least how I like to think of myself – form, function, and a whole lot of cool. Ha! Since I had already built the CandyVan, I had learned a few things about what works best on the interior. I played around with a lot of different layout ideas, but in the end settled on the same set-up as the CandyVan. 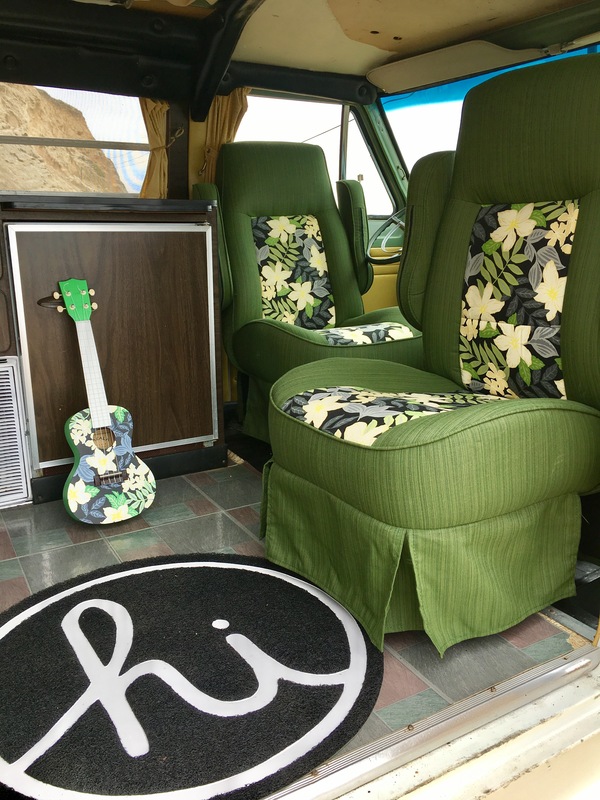 The original layout of the 808Van included a dinette in the rear: two benches that faced each other that fold down into a bed. That was a very common layout for vintage vans in the 70s. However, it does not maximize storage space and really blocks off the rear sitting area from the front bucket seats. Another idea I thought about was having one large bench seat along the driver’s side, so you can sit on the bench seat and look out the side doors when parked. Measuring this out, I realized I would need a 72″ long bench if I wanted it to fold down into a usable bed. This means the bench seat would extend well into the rear of the van, really limiting the cabinets and storage opportunities. The common layout of Sportsmobiles, called the RB50, places a bench seat facing forward with a kitchen area directly behind the driver’s seat. There is plenty of storage behind, below, and to the side the bench seat, along with creating a nice open space when the front buckets are flipped around to face the rear. Truth is this layout worked awesome when living in the CandyVan and as much as I wanted to try something different, I ended up sticking with it! The layout was not as much of a challenge as was the pressure to select all the different materials for the interior. At the same time as I re-did the top, I also ordered the front bucket seats. The old seats were pretty insecure so getting modern comfortable and safe seats installed was high up on the priority list. Only issue was having to determine the color scheme! 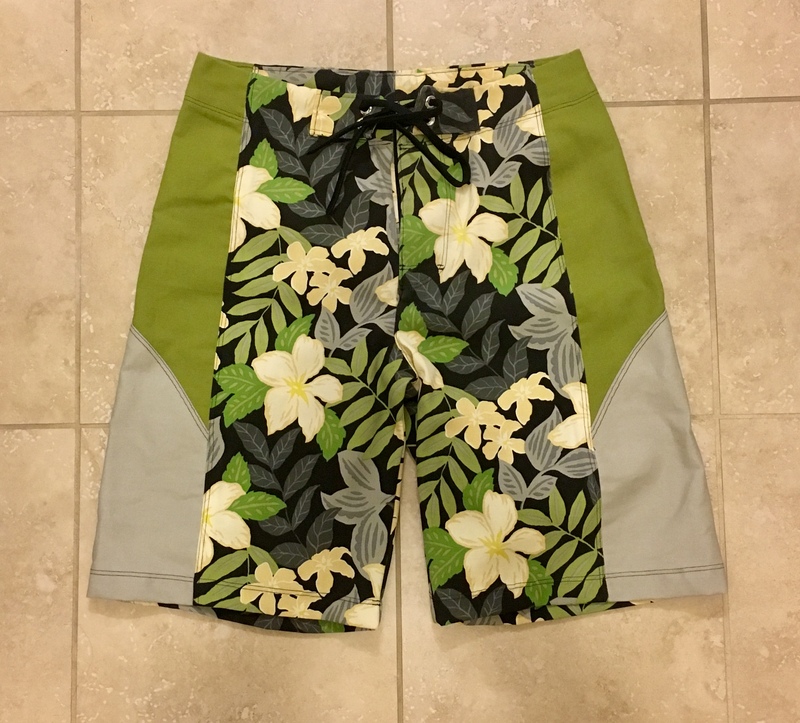 I wanted something that was fun, retro, and played to the Hawaiian theme I was going for. I ordered a bunch of samples of classic Hawaiian barkcloth patterns to play around with. While these totally had the style I was looking for, barkcloth is a cotton fabric and not ideal for automotive applications. Polyester is much more durable so I looked for outdoor and awning fabrics similar to the Sunbrella material I used on the top. 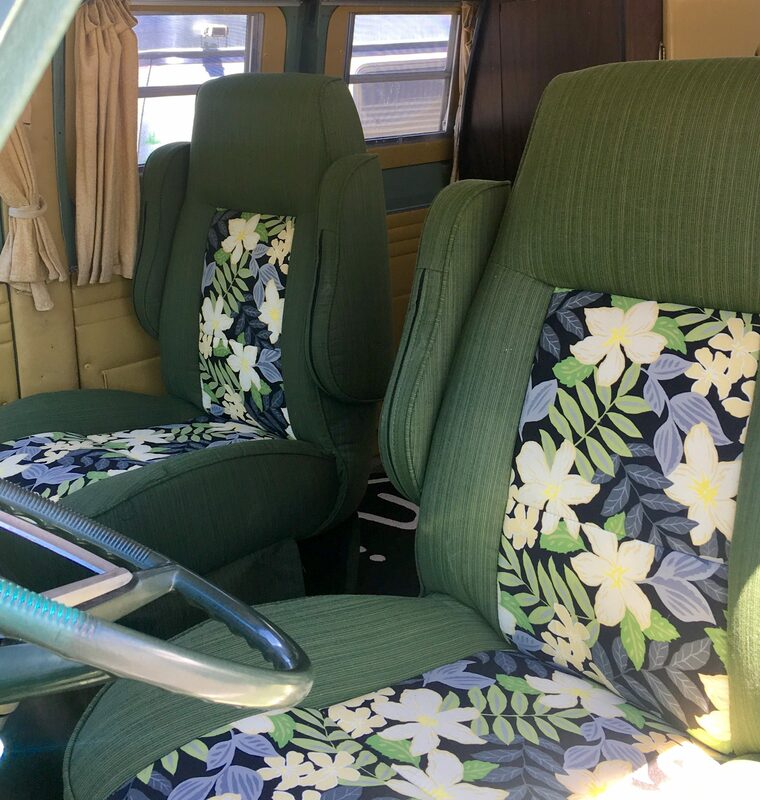 I ended up finding a Hawaiian floral pattern “Kona Ash” that matched the van’s green base perfect and had white, yellow, and gray colors that would work well as the “accent” fabric. I then chose a matching Sunbrella green fabric to serve as the base of the seats. With these two materials selected the rest of the materials came together. I decided on light bamboo floors along with dark Koa wood cabinets to tie the whole Hawaiian theme together – right down to the vintage Hula girl cabinet pulls. 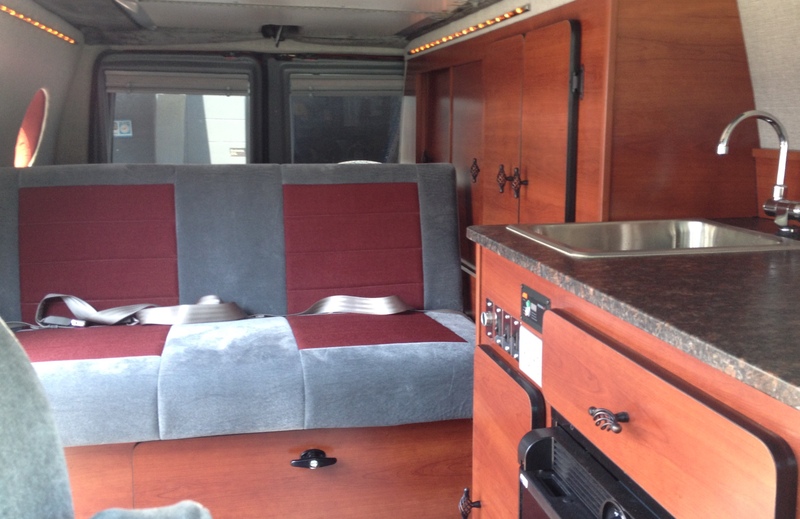 Shortly after getting the van back from Sausalito with the new top, the front seats arrived and were installed. The fabric choices worked great and it made a huge difference to have secure and comfortable seats up front. The rear bench also arrived but we wouldn’t unbox and look at that until we had the interior disassembled. We also took the opportunity when installing the seats to bolt in some new seatbelts. With a new top and two new seats, the van was already starting to show progress! Notice anything else in the pic above? Planning and building your van should be more than just fun, it should be a blast! Kindly remember rule number 6. I had a running list of ridiculous ideas, and there was no way I was going to hold back. I mean, the vision was for a Hawaiian-style van right? 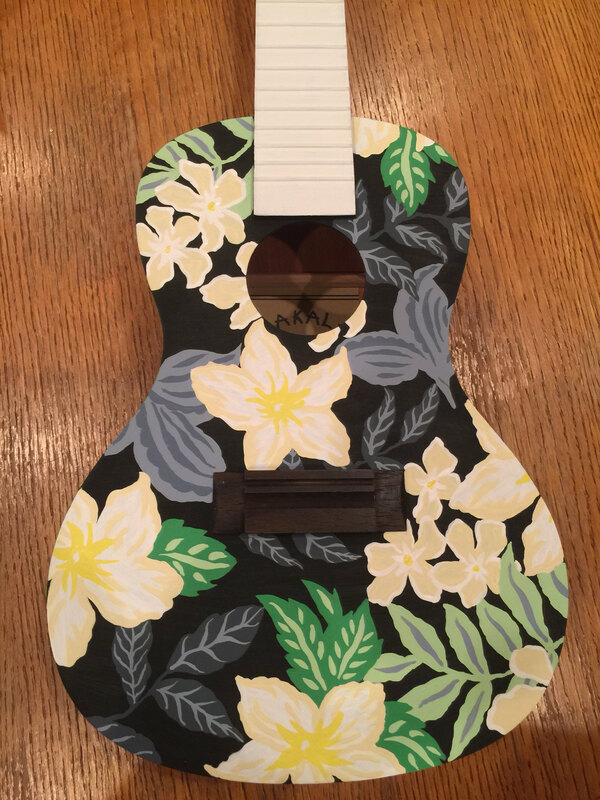 I think its a given that I would have a matching ukulele and boardshorts. 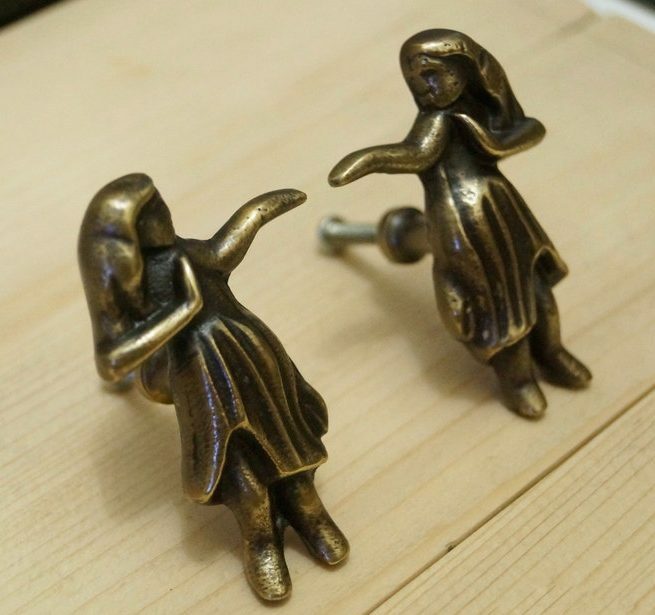 Thanks to an awesome artist on Etsy and an old friend who is a fashion designer – both ideas are now a reality. Spread the Aloha. CHEEHOO!! !